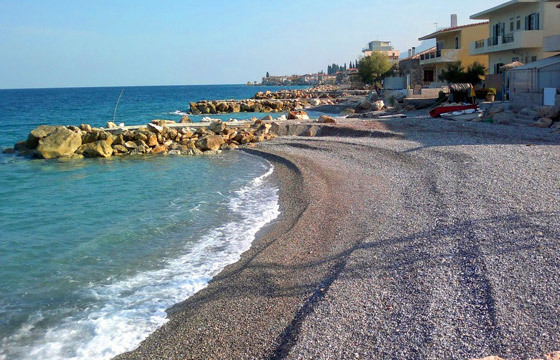 Loutraki is a long beach of about 3 km. with small pebbles and deep, transparent waters. Swimmers may enjoy the wonderful view of the Corinth Bay and a plethora of amenities: taverns, sunbeds, umbrellas, beach bars, showers and a lifeguard. Or they may just choose to swim in the tranquil parts of the beach. 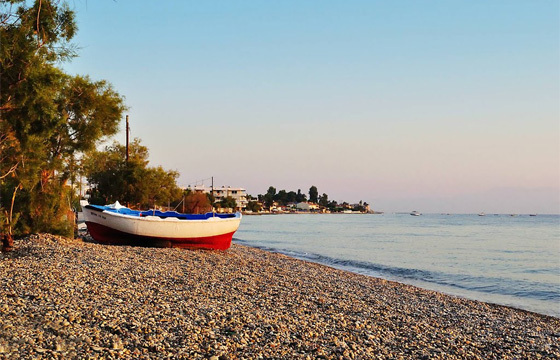 Loutraki is renowned for its thermal waters and attracts numerous visitors, offering a wide range of accommodation choices and sightseeing proposals. So, a one-day visit is not enough.